Already once this week I had collected over a dozen mostly large avocados. Not that we didn’t have any yet but the quantity is starting to ramp up, especially with the recent rain showers. 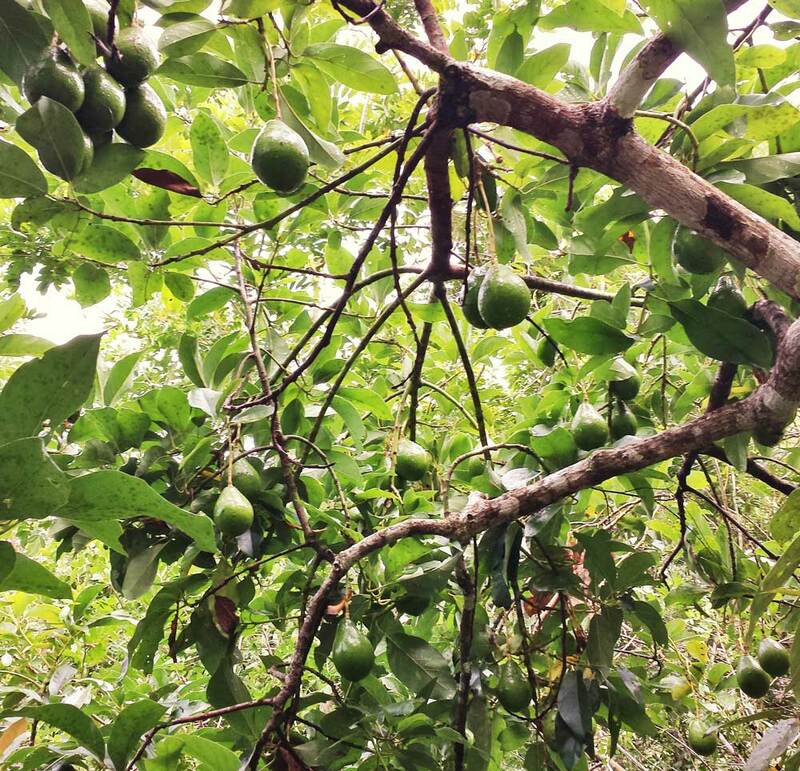 The wonderful thing for us about avocados is that they are high in calories and thanks to their short trunks and many branches the effort for us to climb the trees is minimal. The return of energy we get from eating them is high, probably the highest of all the foods we have. The only downside is that we don’t have them all year around. I remember last year we definitely had hundreds if not thousands of kilos and in mid July we still had so many that I could easily pick 15kg of them to take with me to Europe. Unfortunately for us, we did not manage to collect or eat that many of the total production. This year we hope to use more of them. Extracting avocado oil would be the primary way we can think of. The Question is where could we get a manual avocado oil extractor from? And what else besides oil could we make from avocados? If you have any suggestions please let us know in the comments below.